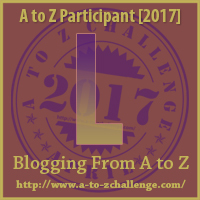 This entry was posted in A - Z 2017, General and tagged A - Z 2017, inspiration, opinion, Robyn LaRue. Bookmark the permalink. I’m listening to a vibrant community.